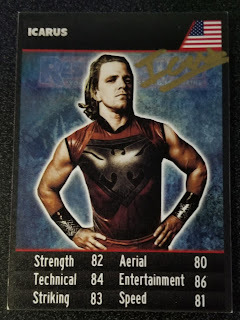 I haven't added any cards to my collection in quite some time, but recently I did go to War of the Worlds in Lowell and managed to add one to my collection. I wanted to get more but the prices for the meet and greets were double what they were the last time. 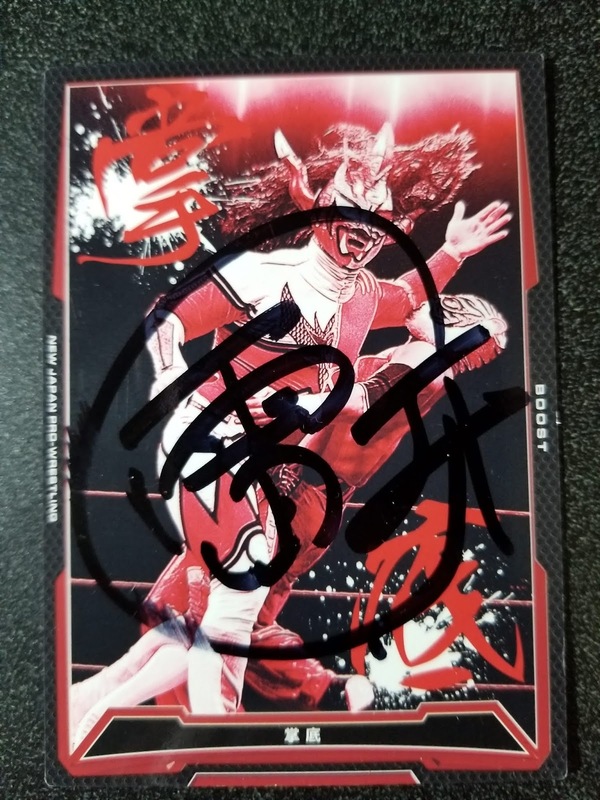 This card I got signed in person May 9th at the New Japan Pro Wrestling & Ring of Honor War of the Worlds stop in Lowell. You can read about it here. 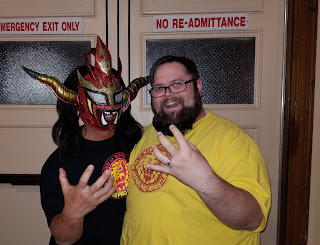 Liger was absolutely amazing and I couldn't have been more excited to have finally met this legend. 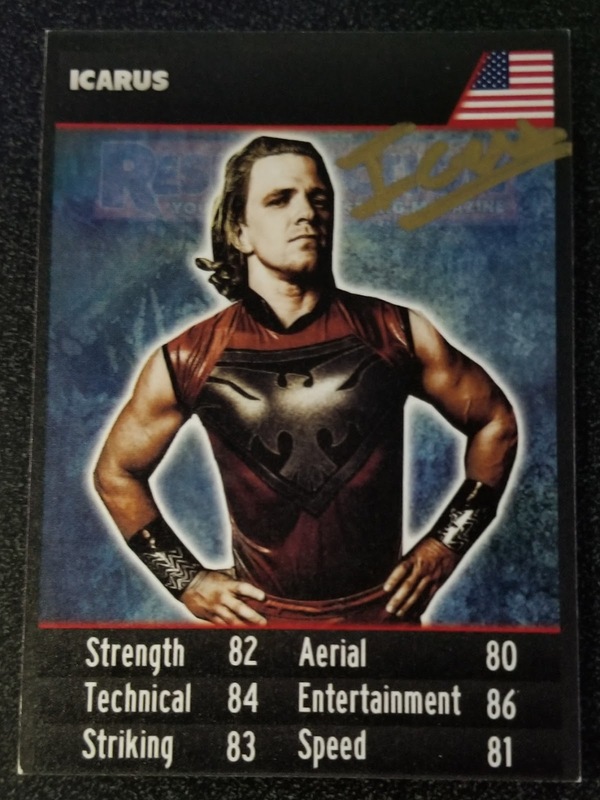 This card is a WWE 2006 Topps Heritage series II. 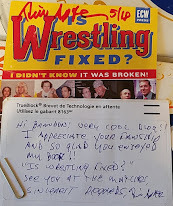 My buddy Roy got it signed for me, I think at a Beyond wrestling show. This card is from the United Kingdom part of the Resurrection card set. Either Roy or Mikey got it signed for me. 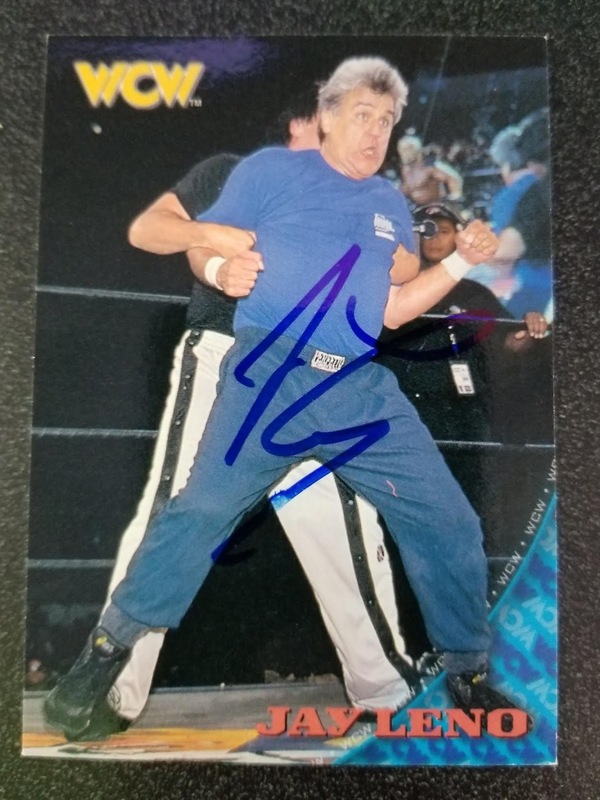 This card is from the Topps 1998 WCW/nWo card set. Jay Leno was the host of the Tonight Show and did a cross promotion with WCW that eventually lead to Leno teaming with Diamond Dallas Page in a tag match against Eric Bischoff & Hollywood Hogan at Road Wild 1998 in Sturgis, Douth Dakota. This was Leno's only wrestling match. 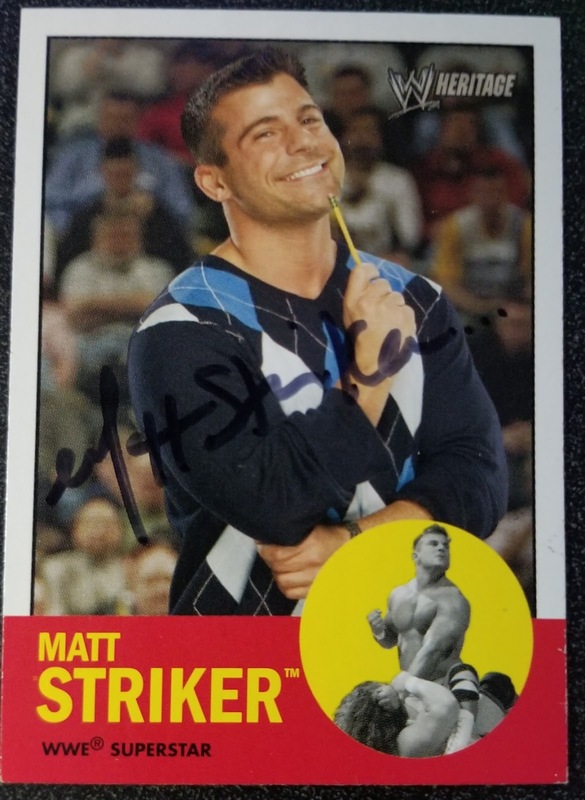 I mail him this card on July 3, 2017 and got it back signed on May 4, 2018.